Vintage Old Real Photo Photograph Photographic Postcard. 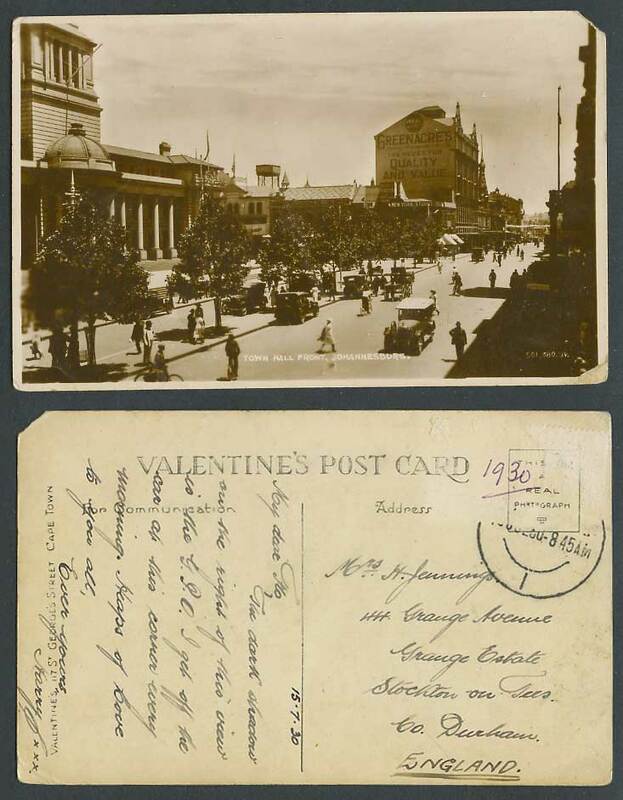 South Africa, Johannesburg, Town Hall Front, Street Scene. Vintage Motor Cars. Building with : Greenacre's The House for Quality and Value. 1930.